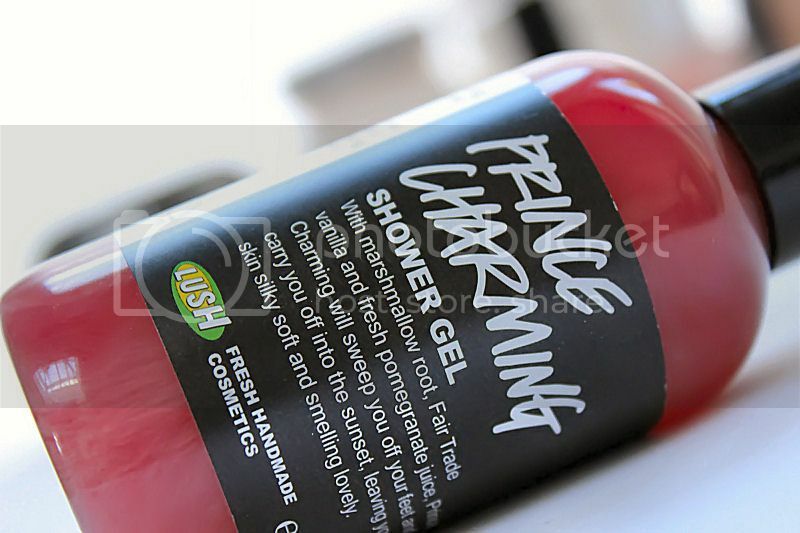 Regular readers will know I’m a little obsessed with Lush products and one of the most recent additions to my collection is the *Prince Charming Shower Gel which was part of this years Valentines range and has never been released before. I haven’t actually used many Lush shower gels as the bath bombs appeal to me more but how could I resist trying a product with such an adorable name! Prince charming is a gorgeous deep red/pink shade that makes a nice alternative for those who have run out of the infamous Snow Fairy which is available during the Winter months. The packaging is exactly the same and shows off the product to the full with its simplistic design. The scent of Prince Charming is quite unusual but it is deep, rich and sweet thanks to the marshmallow root, vanilla and pomegranate juice. Personally I love it and I’m a little disappointed it isn’t part of the permanent range! According to the label, you can use this as a shower gel as well as on your hair although I haven’t done the latter yet. I usually prefer to stick to my shampoo’s as their are quite a few I’m loving at the moment by as I’m intrigued I will try this product on my hair at least once. Hopefully the scent will linger longer on my hair than it does my body. Prince Charming is a really lovely shower gel and when I use it the whole bathroom smells of the delicious scent. My skin is also left soft, smooth and clean. I will definitely be on the look out for this shower gel again next year and it has really encouraged me to try more shower gels Lush have to offer. As Prince Charming was part of the Valentines day range at Lush it isn’t available all year around but you may still be able to get hold of it if your local store has any left in stock. What do you think of Prince Charming? Previous Post WHAT MAKES A GOOD BLOG? Oh goodness, the scent sounds amazing! Such a fan of Lush products, and they're a fab company too. It's a shame this is limited edition. I love Lush products so much, but I wish they didn't have so many limited edition products :(. I adore Snow Fairy and the fact it only ever comes out for Christmas saddens me :(! Lovely blog post though, I'm holding a giveaway on my blog at the minute as I recently reached 50 followers if you would like to enter :). Chance to win Topshop lipstick, nail varnish, Sleek blush and more! I went a little overboard stocking up on Rose Jam, but Prince Charming sounds enchanting. I wish I bought this! It sounds like I'd love the scent! PLEASE DONT use it in your hair. 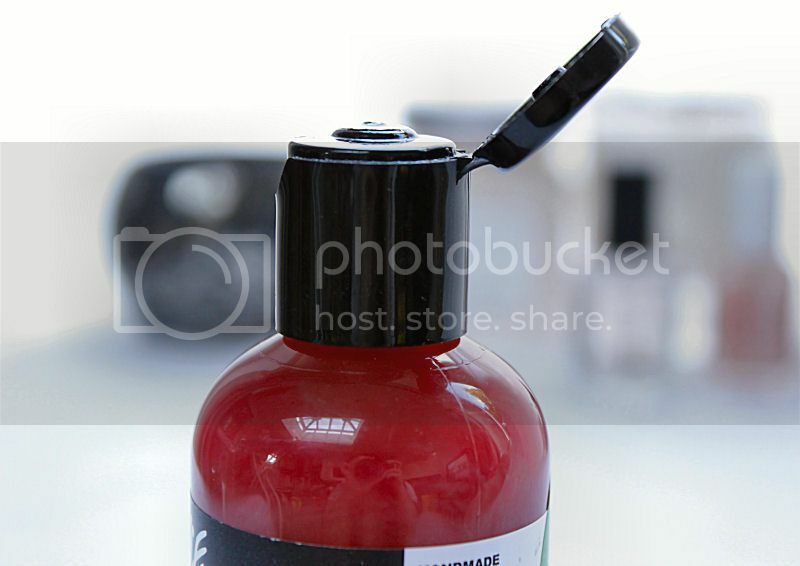 Sulfates are terrible for your hair, and that will dry out your hair so much if you used it as a shampoo.